Okay!!!!! Here I have some pictures taken on the day of the Harajuku Street Style Launch! It's a really long day cause we have to be there at 8am and I've to skip my last lesson of school for it but it's all worth it I guess, cause it's fun!! Nothing much more to say other than I went to dye my brows (first time!!) and got my invisalign aligners that very day also and was wearing it for the show!! Which I think I shouldn't wear it lor, cause it's my first day wearing it and I went dental about 2 hours before the fashion show starts! Ended up I feel that I look and talk so awkwardly with it! Maybe because it's my first time wearing it lah! Now it's like so much better, been wearing for about 9 days already! Went to dye my brows for the first time! It cost $40 for colouring and tweezing, which I think it's pretty fine! 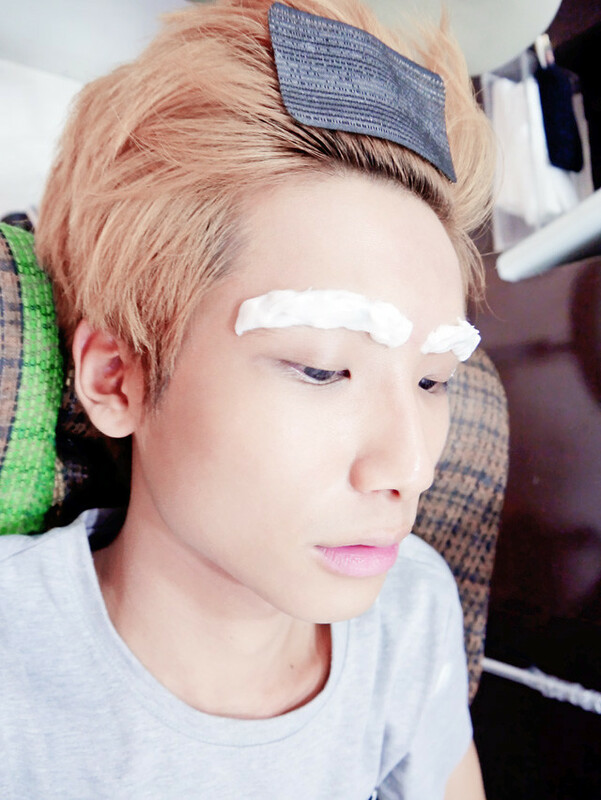 But I still think the brows colour can be lighter leh, but they dye 2 times for me already and even leaving it for pretty long until the person tell me that it's the maximum they can go for this time round and they cannot dye any further! Yup, and pictures of me getting my invisalign aligners on a separate entry soon! With the pinkish Xiaxue before we head down for the launch! A blury yet I love this picture with Cheesie!!! I did had a proper picture with her (but we only took 1) which turns out that I look really bad in it so luckily I've this another picture that I took (above)! She was really nice cause you know actually few minutes before we go up on stage, the stylist suddenly just put a cap on me (when I style my hair until nice nice already lah), then she was behind me and I think she said "Omg!" or something along that line! Then she was like assuring me that I don't look bad and it looks fine on me!! Hahaha! 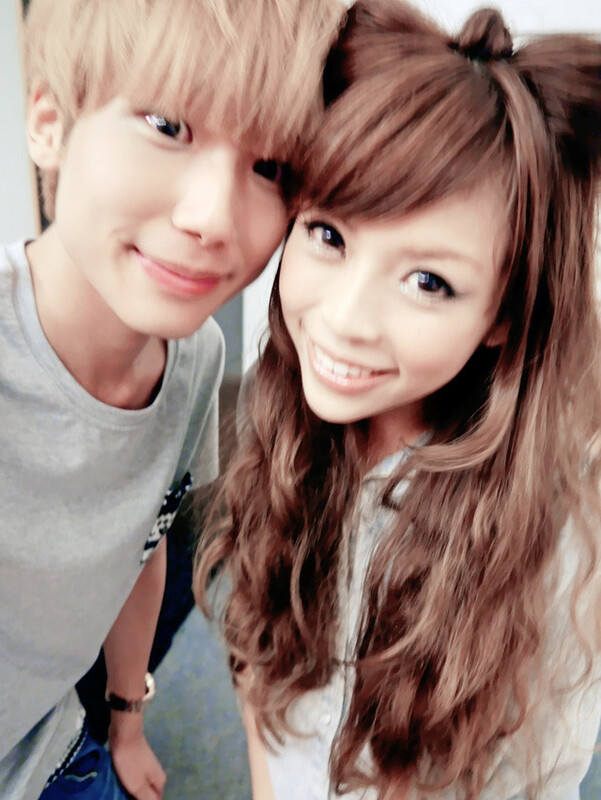 Picture at the backstage with Cheesie taken from her blog! All 4 of us on the stage donning Harajuku Street Style outfit which we hand picked ourselves!! Looking great. I didn't get to take a nice picture for ya guys that day 'cause I reached quite late. I hope you all had fun! Who's the guy on the right side of ur last pic? Was it Utt?? ?